For the benefit of city residents, the Gill Chowk flyover was thrown open for light vehicular traffic today. While for heavy traffic, the bridge would be opened next week.The bridge was thrown open for traffic by Mayor Balkar Singh Sandhu, in the presence of MC Councillor Mamta Ashu, Senior Congress leader Kamaljit Singh Karwal, besides others.While speaking on the occasion, Mayor Balkar Singh Sandhu informed that the bridge was closed due to repairs since last few months. He said that ever since the bridge was closed for vehicular traffic, the repair work was going on in full swing. He said that the repair work as carried under the supervision of MP Ravneet Singh Bittu, Cabinet Minister Bharat Bhushan Ashu and senior MC officials. He further said that now that the repairs have been completed, the bridge has been thrown open for vehicular traffic today.MC Councillor Mamta Ashu said that now that the bridge has been thrown open, it would provide much needed respite to the commuters travelling towards Samrala Chowk daily.The Mayor said that after the repairs, the bridge has been thrown open for light vehicles today and next week, it would be opened for heavy traffic as well. 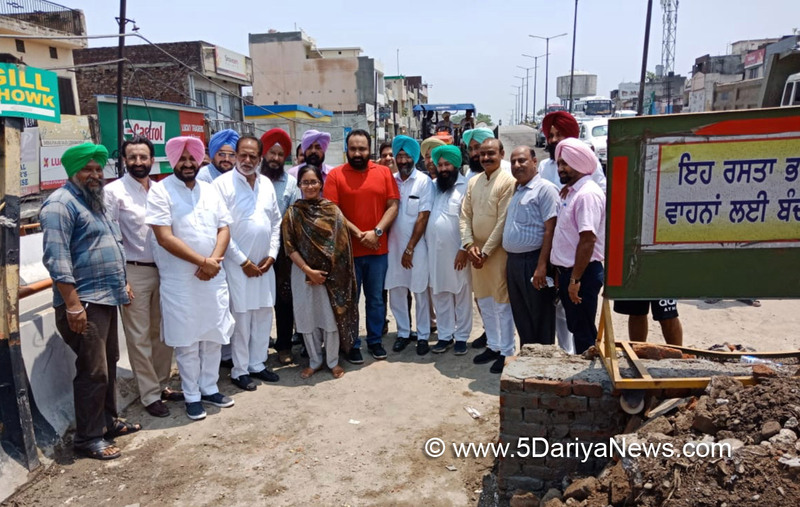 Councillors from Atam Nagar and Ludhiana (South) constituencies, Parminder Singh Soma, besides several others were also present on the occasion.